CD review: "I'll Treat You Right," "Full Time Love" and "Louisiana Soul Man"
These reviews first appeared in the May 8, 1992 edition of the North County Blade-Citizen (now North County Times). What the hey is going on in Massachusetts? Bullseye, the blues subsidiary label of New England's Rounder Records, is turning out top-rate music that sounds as if it's coming out of Detroit or Memphis. But it's Cambridge, Mass., home to Rounder  and thus Bullseye  which is putting out some of the best soul music these days, challenging Malaco Records' supremacy as heir to the Motown and Stax labels as king of soul music. It is, perhaps, most gratifying to find Peebles putting out such a stellar album again. After scoring with "I Can't Stand the Rain" in the early '70s, she disappeared from the pop charts, and quit performing shortly thereafter to raise a family. 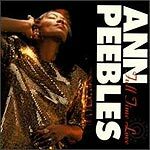 With a voice as pure as Dionne Warwick's, and a delivery as earthy as Aretha Franklin's, Peebles has all the tools intact to revive the Memphis soul sound. On this new album, she does just that. On songs such as Delbert McClinton's "Read Me My Rights," Robert Ward's "Fear No Evil" and her own "Ain't No Business Like Your Business" Peebles dishes out hearty, gritty performances leading up to a brilliant re-make of "I Can't Stand the Rain." Peebles falls short only once, on an inexplicable cover of the Rolling Stones' "Miss You" that is performed straight, a la the Stones. Clay, on the other hand, falls short not even once. Long one of the hardest soul singers (as well as hardest working) this side of James Brown, Clay brings as much perspiration as inspiration to his music. 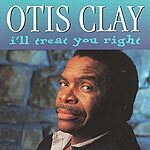 "I'll Treat You Right" continues the artistic success of Clay's live performance recorded by Rooster blues in Japan nine years ago (and reissued in CD format by Bullseye last year) which marked the beginning of his comeback. Covering R&B, gospel and blues, "I'll Treat You Right" shows off the remarkable range of Clay's interpretive abilities. If you haven't heard of Dalton Reed  and chances are you haven't unless you hail from his hometown of Lafayette, La.  don't worry, you soon will. With a voice as smooth as Kentucky bourbon and a delivery as full of Southern grit as a plate of black-eyed peas, Reed is an artist destined to make his mark. While Reed's only recordings to date have been some regional singles, he's spent the better part of the past two decades honing his craft and arrives on the national scene fully developed as an artist. 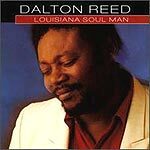 "Louisiana Soul Man," Reed's debut, features him with both an excellent backing band and top-notch material by composers such as the late Doc Pomus (elected to the Rock 'N' Roll Hall of Fame last year), Dr. John and Delbert McClinton. With such quality support, and Reed's own talent, this is one of the strongest debut efforts one is likely to hear.